All homes currently listed for sale in the zip code 90016 as of 04/18/2019 are shown below. You can change the search criteria at any time by pressing the 'Change Search' button below. "Attention Developers and Investors!!! RTI (Ready to Issue) plans in approxamelty 2 weeks in rapidly hot and growing OPPORTUNITY ZONE area. 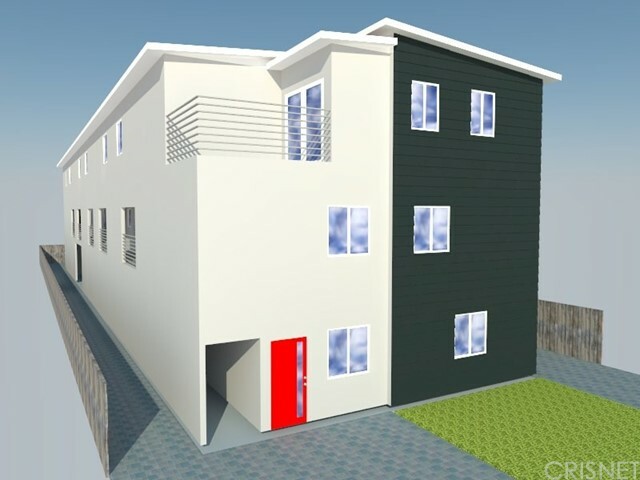 This Development Project is a 4 Unit three-story apartment building project in a great gentrifying Mid-City LA area. This neighbourhood and street has several similar projects currently in construction and has several new apartment buildings for sale and comps that have sold. This area is continuing to get better and grow. Plans consist of 4 X 3 beds + 3.5 bath units, each unit is varying from 1,400 - 1800 sq ft with 6500 livable square footage. The estimated completed value is $2.6-$2.8 million when finished and it will be a NO RENT CONTROL building. The survey and soil report have been completed so you can start demolition right away. The projected rents vary from $3700-$4100 depending on each unit size. Comps are selling for $420-$470 per foot so this is a great buy! We have several construction bids around $800,000 for the whole project. There are many options like to rent, AIRBNB, or sell the project and all at great numbers! Lots of different options and you can take advantage of the tax benefits of the opportunity zone!" 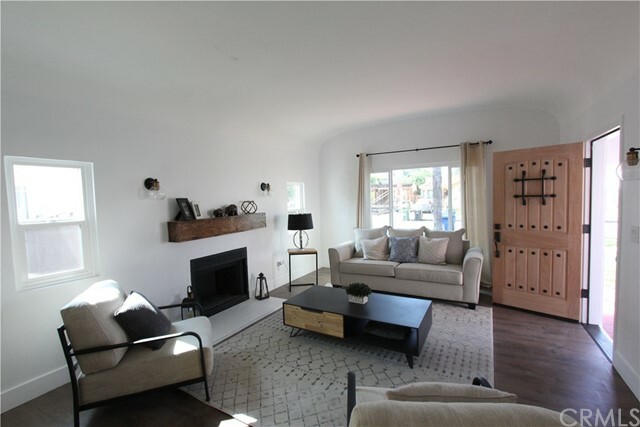 "Spectacular & immaculately remodeled modern farmhouse in the West Adams/Culver City Arts District neighborhood of Los Angeles! Boasting approx. 2700 sqft, 3 bedrooms (all ensuite), 4 full baths and soaring high ceilings throughout, you are sure to fall in love with this designer home! Step into this exquisite property and instantly be greeted by the elegant formal living room and open concept chefs kitchen equipped with brand new cabinets, SS appliances, and calacutta quarts countertops w/waterfall effect, plenty of space to entertain, breakfast area and the impressive and spacious great room. Jaw dropping, upscale designer tile & finishes in every corner of the house and recessed lighting throughout. Guest bedroom with ensuite bathroom downstairs and dual masters upstairs featuring large custom vanities and spacious walk in closets! Custom chandeliers, Side by side laundry area. New plumbing and electrical panel. Electric gate, new concrete steps, new fencing, cute backyard & beautiful landscaping. 1 car detached garage. Located in the booming neighborhood of West Adams close to the brand new mega developments coming soon and the Culver City Arts District." "If you live with a nothing by accident and everything on purpose mindset and value quality, privacy, and design, your search for seclusion and proximity to the best LA has to offer, in a bustling city of millions, is almost at its end. After being greeted by the newly installed wooden grey fence and freshly planted hedges, guests will appreciate the style of the spacious & open living/kitchen concept, which drowns in natural light, due to the glass front door & numerous living room windows. The mentality of less is more is evident throughout with lean and blended lines crafted by the carefully chosen cabinetry, fixtures, flooring, & dark but subdued color palette. Minimalism is indeed not a lavish style, but it is not an absence of design either and these owners always aim to create a polished product for a sophisticated buyer. Included is a detached & rentable ADU or guesthouse with concrete floors, bath & kitchen. New electrical, A/C, stucco, hardwood flooring, fixtures, & more." "Remodeled & Fully Permitted Duplex Or Single Family w/ Guest House Consists Of A Spacious Main House & A Newly Converted ADU Back House. With No Detail Overlooked, Amenities & Upgrades Abound. Enter The Main House Through The Custom Front Door & Step Into The Timeless Yet Modern Features Of New European Oak Flooring, A Formal Dining Room, Living Room With Decorative Fireplace & Coved Wood Beamed Ceilings & Kitchen With A Center Island Equipped With Stove & Hood Vent. Includes A Separate Laundry Room & Second Bathroom With Dual Sink Vanity. Next Enter The Master Suite With Ensuite Bath & Walk-In Closet. The Equally Well Appointed Back House, Features An Open Living Area & Kitchen, German Laminate Flooring & Separate Backyard With New Fencing. Both Units Feature Quartz Counter tops, SS Appliances, Recessed Lighting, New Windows, Doors & Subway Tiled Showers. Centrally Located In West Adams & Near The New Retail & Expo Line Off The Crenshaw Corridor. Owner Occupancy, Rental Income or BOTH"
"Beautiful home in quiet family neighborhood. This move in ready house offers 3 bedrooms, 2 bathrooms, dining room, living room with fireplace and an additional bonus room with bath, can be used as 4th bedroom or office. Private grassy backyard with patio area and fruit trees. Detached 2 car garage. Conveniently located near the Culver City Arts District, La Cienega Expo line, coffee shops, restaurants, and shopping centers. Mountain and City lights view, short distance to Kenneth Hahn State Park. Motivated Seller." 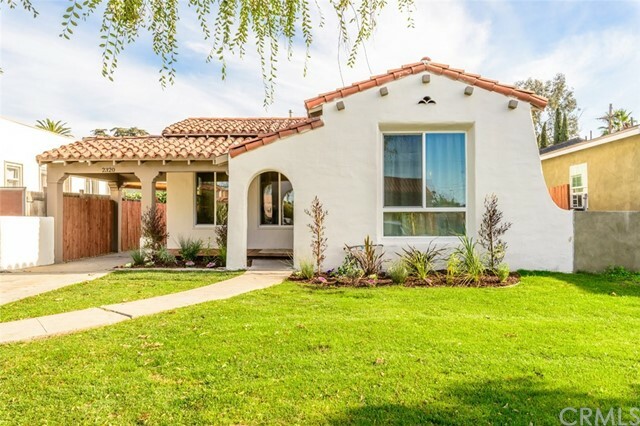 "BEAUTIFUL Spanish-style home with plenty of character throughout. Detailed remodel has transformed this early century home into a modern marvel. A beautiful mahogany front door opens to a living room flooded with natural light showcased by its vaulted ceilings. Adjacent to the living room is a spacious dining area, leading to the extensive kitchen. Shaker white cabinets are topped with marble-style quartz counters, adorned with antique brass finishes. The home boasts three bedrooms, two of the three being separate master suites with their own bathrooms. Attention to detail throughout - with thoughtful design in each bathroom: elegant tiles and rustic, yet refined finishes complete the home. 3038 Somerset is truly a mid-city gem, waiting for the next owner to call it home. Come see today!" "Beautiful home located in convenient and desirable area of Mid City LA. 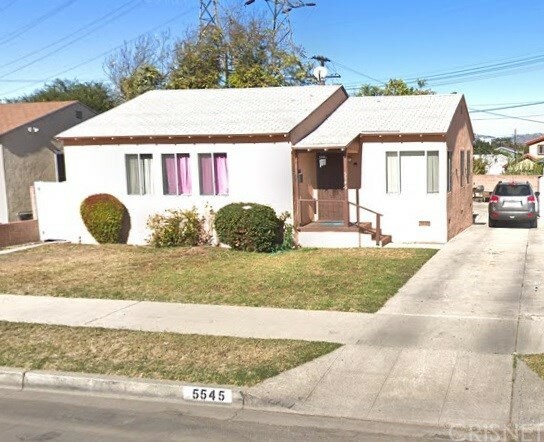 This home features 3 bedrooms, 2 baths, dining room, living room, a separate laundry room off the kitchen, basement, long driveway, detached two car garage, upstairs and downstairs 2 story deck with view of Century city and the Los Angeles Basin. Remodeled kitchen features recessed lighting, stainless steel appliances, granite counter top, tile backsplash, built in microwave, double oven, a spearate wine fridge and Breakfast bar seating. This home has been extensively updated with freshly painted exterior/interior, complete relectrical replacement (MC not Romex in 2011), New Roof (2019), Copper plumming (2011), Drip irrigation (2017), Earthquake foundation retrofit (2018), New fences and gates installed (2018), deck sanded and stained (2019), hard wood floors were recently refinished (BONA), HVAC minisplit ductless installed in 2018 for your comfort! The private fenced backyard has a beautiful views of the city with doube deck and perfect for those who like to entertain and invite family and friends over for a glass of wine. Plus, the long driveway and detached 1 car garage provides plenty of space for additional parking. Great Mid-City location that is perfect for the Westside commuters. Minutes to Culver city and West Hollywood with easy access to La Brea. Located between the beaches and DTLA. Welcome to your new home!!!" "Just completed extensive STUNNING REMODEL. 2 story 4 bdrm 3 bath Mediterranean. Custom Iron front door leads into elegant large living room. White wash Oak laminate Flooring throughout. -White Shaker kit Cab-Quartz Counter-Top. Top of the line appliances inc: Fridge, A separate wine fridge, built in microwave, double oven, Washer/Dryer Apron Sink, Breakfast bar seating. Large formal dining room. Master Bath Soaking Tub, separate shower, double sink vanity, marble Flooring,ToTo Toilets. Guest bath has Gold wall mount faucet and fixtures. 3RD bath designer tiles& full bath. High vaulted Ceilings upstairs, View of Hollywood Sign, and peek a boo Downtown and Century City. Pella dual pane windows. New 200 Amp Service, new water less tank, all with Permits, Designer light Fixtures, and tiles. His & Her Walk in closets. Desert Landscape, ficus trees for privacy, long driveway may park 3 cars. Minutes to Culver City, Downtown, Hollywood, the Beach and Metro. Shows like a Model has curb appeal. Loads of natural light. New wrought irons stair rail. Barn Door, Recessed Lighting, solid 5 panel interior doors, new French doors. Spanish Roof Tiles. Open concept for entertaining. Energy Efficient appliances and low maintenance front and rear yard. Realtor is related to seller." "New Price!! !Great fixer!!! Investor dream or your personal touch can bring this Spanish style home on a large R2 zoned lot to it's full potential. The home features 3 bedrooms, 1.5 bathrooms, family room, basement area with exterior only, a two car garage and room to build a legal accessory unit, a pool or a Duplex. 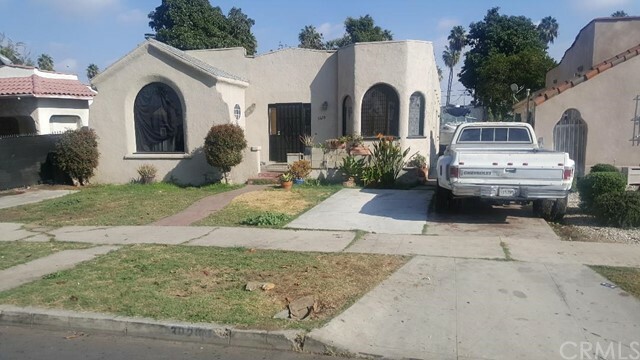 The home is located in the highly sought out area of West Adams with great access to the Metro Line, freeways, USC and Downtown Los Angeles. Exterior inspection only. Full inspection upon accepted offer." 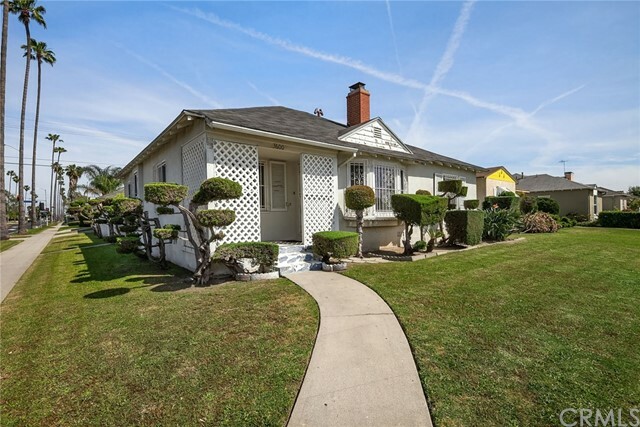 "Beautiful home in one of the hottest neighborhoods in Los Angeles! 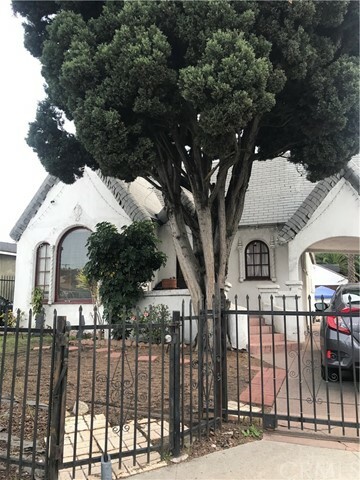 This spacious 3 bedroom / 1.5 bath home is walking distance to the Expo Line, Coffee Shops, Blackwelder Creative Space, Cumulus Development, Cliffs of Id, and Culver Arts District! Amazing property with large front yard, formal entrance, dining room, living room, three spacious bedrooms and a private back yard with long driveway and garage. Remodeled with central HVAC, quartz counters, SS appliances, tiled bathrooms and large deck off the master bedroom. Finished garage perfect for extended living or convert to a separate unit! West Adams has been identified as LA's Next Culinary Destination and an extension of Silicon Beach with a multitude of creative space developments, eateries, and tech companies moving to the city. Also much of West Adams was designated an opportunity zone in 2017 which continues to accelerate capital investment in the area. Don't miss this amazing home in a very sought after neighborhood!" 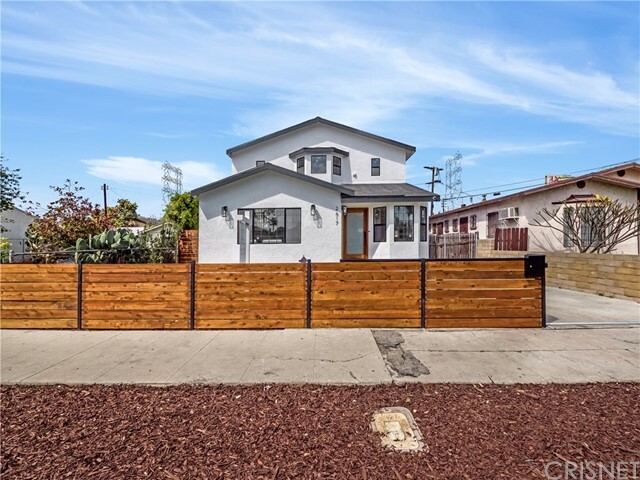 "Reimagined by MCH Redevelopment, this 3 BR + 2 BA West Adams Spanish is the perfect blend of character details and modernized finishes. 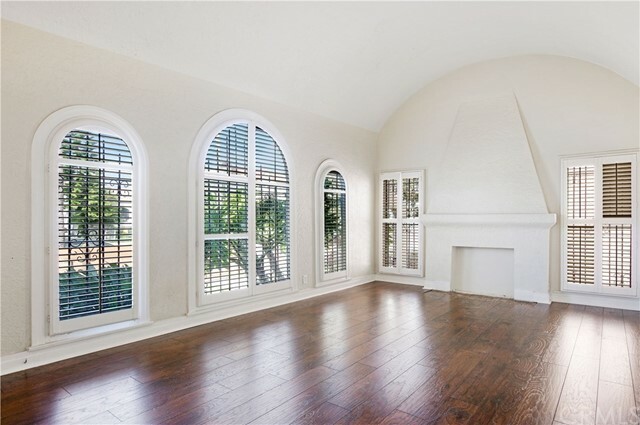 An ebonized tile roof, white stucco, and half round arched windows welcome you home to 1,240 square feet of sunsplashed greatness. Fully renovated spaces include living room with coved ceiling and formal dining room leading into cook's kitchen featuring stainless steel appliances, Carrera marble counters, and a delightful breakfast nook surrounded by period windows. Stunningly upgraded bedrooms and bathrooms were designed with a flawless touch. Entertainer's backyard ready to enjoy California nights. Garage can be utilized as work space/yoga studio/gym. Minutes from Culver City, Beverly Hills, Downtown and USC. Short distance to the Expo Line and new and future restaurants and shops on Adams and Jefferson. Features include refinished hardwood floors, new stucco, new roof, new fencing and gate creating private oasis." "Single story 3 bedroom 2 bath Spanish style home located on a cul-de-sac! This home has been beautifully updated with fresh carpet in the bedrooms and engineered flooring throughout the living room, dinning room, kitchen, laundry room and hallways. Upgraded kitchen featuring white raised panel cabinets, quartz counter tops, fixtures and recessed lighting. Seller will install a stainless steel range, dishwasher and microwave-hood prior to close of escrow. Both bathrooms include a designer vanity, tile shower surrounds and custom tile flooring. Other property features include freshly painted exterior/interior, a separate laundry room off the kitchen and central heating and AC for your comfort! The private backyard has a beautiful gated lawn area that is perfect for entertaining. Plus, the long driveway and detached 1 car garage provides plenty of space for additional parking. This property won t last long. Come see it and make an offer while you can! Tax rolls show different bedroom count, Buyer to verify." 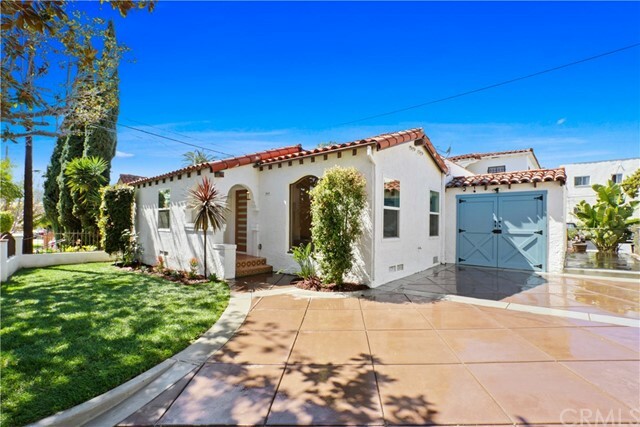 "This Mid-City Heights Craftsman is located in the desirable West Adams Historic District! Home features four bedrooms and one and a half bathrooms. The first floor has a large bright living room, dining room, two generous size bedrooms, a full bathroom, and an office. The top floor displays the master suite with a walk-in closet, a bathroom, and the 4th bedroom. There is a spacious eat-in kitchen with an adjoining laundry room and a storage closet. The exterior of the home offers a newer roof, a screened patio, detached garage, and a nice size backyard. Property needs some updating. This charming home has great bones and is filled with endless possibilities." "Stunning hip modern construction with 3 bedrooms and 2 baths. Privately hedged and low maintenance. This house has open floor plans and high ceilings. Big windows and skylight that bring in natural light throughout. Modern kitchen with stainless steel Kenmore Elite appliances. Attached garage with electric car charger and automatic gate. Smart and energy efficient home comes with I-port Control Mount, Nest Thermostat, Tankless Water Heater and Skydrop Smart Sprinkler that can be controlled through your mobile phone. Built in 2016, there is no other property like it in the area. Free of any HOA. Great Mid-City location that is perfect for the Westside commuters. Minutes to Culver city and West Hollywood with easy access to La Brea. Located between the beaches and DTLA." 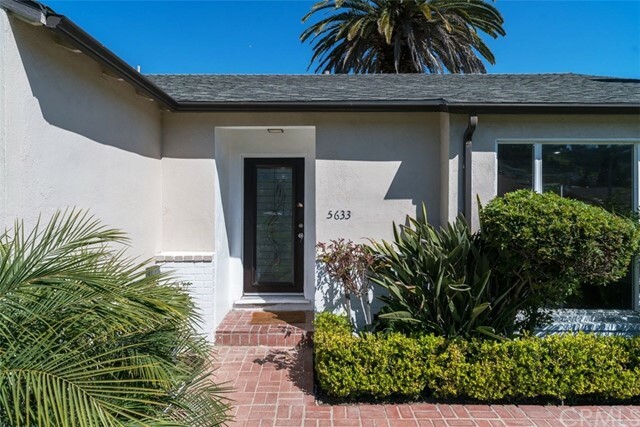 "This freshly remodeled Modern Spanish home offers two bedrooms and two bathrooms. It s equipped with an exceptionally modern finish and exudes an undeniably fun and unique personality that pairs perfectly with its quaint Spanish charm. The custom Chocolate Brown diamond-patterned driveway that leads into the Blue Agave garage door brings unparalleled curb appeal. Open the front door and you re greeted by brand new engineered hardwood floors, high ceilings and a gorgeous open floor plan that s ready to host your next dinner party. The bright and modern kitchen is home to brand new stainless steel appliances complete with quartz counter tops. The new 200 amp electrical panel, new Re-Wire, new HVAC system, and new double pane, Low-E vinyl windows are just a preview of the upgrades this Mid-City beauty has to offer. No expense was spared, no stone was left unturned in this top to bottom remodel, and each upgrade is fully permitted. With the Grove, Century City Mall, and Beverly Hills just 15-20 minutes away , this home is what Westside LA living dreams are made of!" "THIS ADORABLE COTTAGE HOME WITH GREAT CURB APPEAL IN THIS HIGHLY SOUGHT AFTER NEIGHBORHOOD WILL NOT LAST! THIS CHARMING HOME FEATURES 3 BEDROOMS AND 2 BATHROOMS, FORMAL DINING AREA, FIREPLACE, KITCHEN NOOK AND IS ON A CUL-DE-SAC. GREAT FREEWAY ACCESS AND MINUTES FROM DOWNTOWN L A. IT'S A MUST SEE!" "First time on the market. 3 + 1 in desirable area of Los Angeles. Build your own dream house! Please do not disturb owners." "Beautifully maintained 1920's Spanish Bungalow in hot West Adams Arts District & Silicon Beach East. 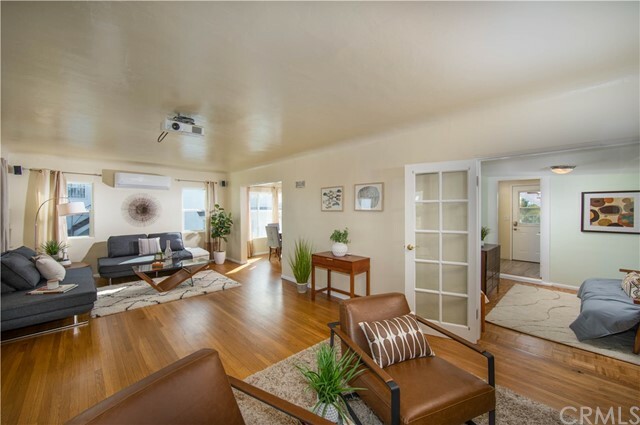 Loaded w/ original character & charm, sophisticated 2bd/2ba home w/ den/studio has plenty of comfort & charisma. Meticulously cared for by owners who maintained many of the original features that gives this house so much charm, including refinished original hrwd flrs, Batchelder frpl, wood moldings & interior doors. Brought into the 21st Century, upgrades include a beautiful cook's kitchen complete w/ stainless steel Bertozonni range & Bosch appliances, marble countertops & large farmhouse sink.Other upgrades incl. dual pane windows, new roof, plumbing, electric panel & HVAC, along w/ NEST thermostat. Front & back yards are surrounded by freshly stained redwood fence with a lush green hedge for additional privacy. See yourself entertaining family & friends for summer barbeques, gardening, play or simply relax. 2 car garage could be converted to private office/studio or guest house." "New to Market: Spanish home nestled in the middle of the block among nicely renovated homes on either side, within the block, and the surrounding area. Excellent end-user remodel or developer opportunity in a RD2-1 and Opportunity Zone. The detached garage is an opportunity for garage conversion ADU. The bonus room, added by the owner, increases the living space square footage. The kitchen has a small breakfast nook with a French door leading to a concrete outdoor flat patio area and backyard. The backyard extends to the garage and is surrounded by shady trees. Charming original details throughout the home, including oak wood floors throughout the home (excluding bathroom, kitchen/laundry room), mantel, stripped to its natural wood and stained in a rich brown, warm finish. Upgraded windows. Buyer to verify square footage and permits with City. Seller requires buyer pre-approval with preferred lender: Joe Knox, NMLS #234268, Westside Mortgage Corp, 323-228-4112, coachjok18@aol.com." "A stunning 3 bedroom, 1 3/4 bath --the den had been converted to a bedroom and bath This GEM located in the booming mid-city of Los Angeles the next Silver Lake even bigger 2 minutes to Culver City, 10 minutes to Beverly Hills right in the heart of Los Angeles to all major free ways best most convenient place to liva in Los Angeles connected all major freeway and best most convenient place to live in Los Angeles connected to silicone beach tech. companies, and walking distance to metro station that will save thousands per year just in fuel. Also close to Google, Amazon, Sony Studios, and Coffee Bean head quarters. 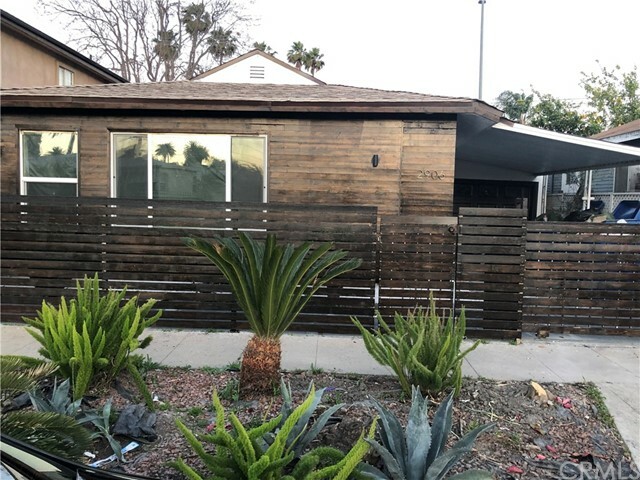 You'll love the new stained wood fence surrounding the entire perimeter of the lot and the fresh color scheme making this house the envy of the block. Looks completely like a modern masterpiece. Inside you will instantly be drawn to the open floorplan highlighted by the flowing laminate flooring and the stunning chef's kitchen with Calcutta marble inspired quartz tops, Viking SS appliances and a large island. The master bedroom has private access to the backyard and a fabulous bath with all new lifetime warranty khole fixtures, intricate carreara marble tile work and a custom shower glass enclosure. Everything has been meticulously thought out in the entire house, including recess lighting throughout entire house. For less than the price of a 2 bedroom condo in the area, you can own this beautiful home with a carport and garage no HOA. This is a MUST SEE!" "BEST of Both Worlds!! 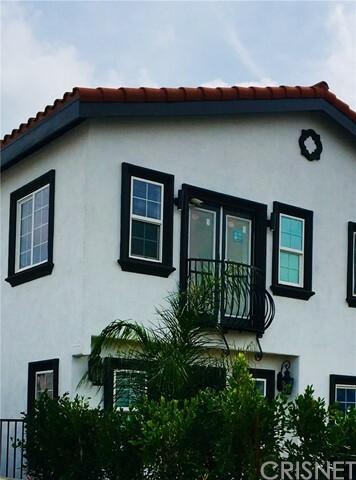 This 3 bedroom / 2 bath home is freshly painted and rehabbed PLUS the property comes with APPROVED PLANS to build a new ultra-modern luxury 3-story duplex with rooftop view deck, etc!! You can put shovel to ground RIGHT NOW-- or occupy, or rent, and build later. An excellent opportunity located in the heart of HOT West Adams. The current owner has spent significant time & money to build new immediately. The finished construction will have 3,145 square feet total (with approx. 1,725 sf for unit 1 and 1,420 sf for unit 2); 3 bedrooms and 3.5 baths in each unit-- plus secure gated parking for 4+ cars, a large rooftop bbq view deck, a grassy yard, etc. This is a great new high-end modern home + top-quality income new build opportunity and with No HOA Dues!" "Spacious 3 bedroom cosmetic fixer on huge lot with massive potential. Giant fenced backyard, detached 2 car garage presents opportunity to add SF, add an ADU or just update. Hot neighborhood has tons of development going on, just a block from the new Expo line and emerging businesses. Great opportunity to get into neighborhood at affordable price. House has newer windows, roof. Existing wood burning fire place, great floor plan. Just a little work and this corner house will be a shining gem." "Beautiful 3 bedroom Home in Park Hills Heights! This Spacious home has a great floor plan offering lots of living space to relax and entertain, separate dining area, inside laundry area, and large kitchen! Large corner lot with new fencing, off-street parking, new interior paint, new laminate flooring and carpeted bedrooms! Central Heat & Air Conditioning, small basement area, and a fully fenced lot- don't miss this opportunity, take a tour today!"